Get actionable audit data about all changes and logons in your Azure Active Directory. 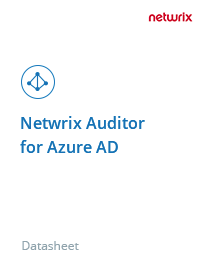 Netwrix Auditor for Azure AD enables you to quickly detect and investigate incidents that threaten your cloud security or could cause downtime. Simplifies Azure AD auditing by delivering detailed information about all changes, including who made the change, the date and time it occurred, exactly what was changed, and the current and past values. Facilitates Azure AD access control for security and compliance by pulling together user and admin sign-in logs and providing security reports on both successful and failed attempts to access your Azure AD and cloud applications. Streamlines Azure AD activity monitoring with an overview dashboard and detailed scheduled and on-demand audit log reports that offer filtering, sorting and exporting options. 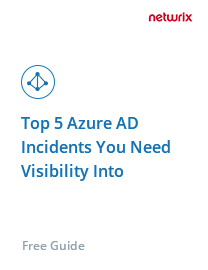 Notifies you about critical Azure AD activity that puts your environment at risk, such as role changes or repeated failed logons, so you can respond to incidents in time to prevent real damage. Improves detection of malicious insiders and compromised accounts by aggregating their anomalous activity in Azure Active Directory and other systems, both on premises and in the cloud. Enables you to quickly sort through your audit data by fine-tuning your search criteria until you find the root cause of an issue or the answer to a specific question from a compliance auditor. Slashes preparation time for compliance audits with predefined activity reports mapped to PCI DSS, HIPAA, GDPR, SOX, GLBA, FISMA/NIST, CJIS and other regulatory standards. Makes it easy to detect subtle indicators of threats in your Azure AD, such as unusual logons that might indicate account takeover or a disgruntled privileged user trying to hide behind temporary accounts. 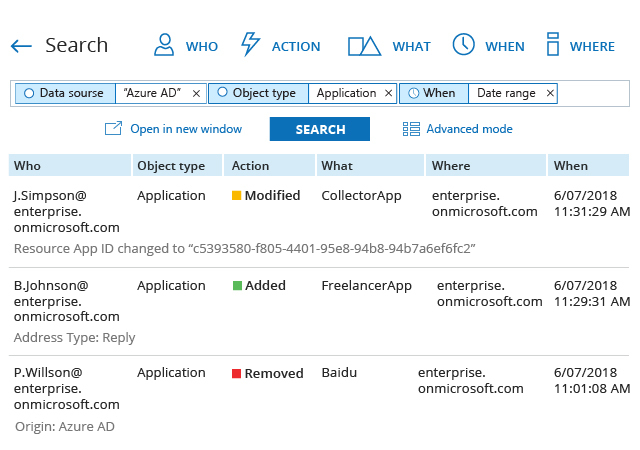 Azure AD holds the keys to many of your organization’s critical assets, so you need to monitor it closely. Do you know who added illicit applications to the cloud? Can you determine when users’ passwords were changed? How long would it take you to trace admin activity across your Azure AD and other systems? Netwrix Auditor delivers this information in a few clicks. Be the first to be notified about risky events that could endanger your cloud security. Enable alerts on any audit events that you consider dangerous, such as multiple failed sign-ins to the Azure AD portal and deletions of users and devices, to quickly catch threats and mitigate the impact of security incidents. Get the broader context of an issue with traces from multiple systems, both on-premises and in the cloud. For example, you might quickly find out that sensitive data was deleted from your site because an unauthorized SharePoint administrator was added in Azure AD. Use your findings to respond quickly and avoid similar issues in the future. Native Azure AD logs can hold data for only 90 days, and the noise that Azure AD logging contains makes it likely that you’ll miss critical events. But Netwrix Auditor cuts through the noise and provides the actionable audit data you need to get to the root cause of an issue, even if the incident happened far in the past. Compliance auditors often ask for specific information that is not easy to extract from the native Azure AD reports. Slash the time you spend crawling through audit data and compiling compliance reports. Quickly respond to auditors’ questions and provide clear evidence of your IT compliance with reports mapped to specific controls of PCI DSS, HIPAA, GDPR and other regulations. Learn more about how Netwrix Auditor simplifies Azure AD auditing, helping you improve threat detection and streamline compliance. 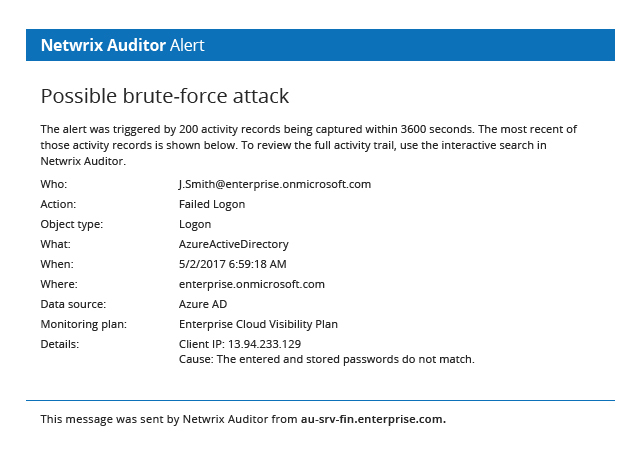 Discover the top 5 incidents you need to keep track of in your Azure AD environment using the actionable intelligence from Netwrix Auditor. Mountain Park Lodges uses Netwrix Auditor to mitigate service downtime by quickly detecting and responding to attacks. Using Netwrix Auditor, Landmark Structures increases the accountability of IT staff and streamlines investigation of security incidents. Perfetti Van Melle Turkey secures its exclusive confectionary recipes with Netwrix Auditor by monitoring all users who can access the data. "We use Netwrix Auditor to make sure that our environment is not sabotaged. We are always aware of what has been done and who did it. We know that appropriate controls are in place and no one has more access and power than they need." The Azure AD self-service password reset capability is very convenient for users, and it can also dramatically cut helpdesk costs. But it does give IT administrators one more thing to worry about — staying on top of Azure AD password resets to spot any suspicious actions that could indicate identity theft. 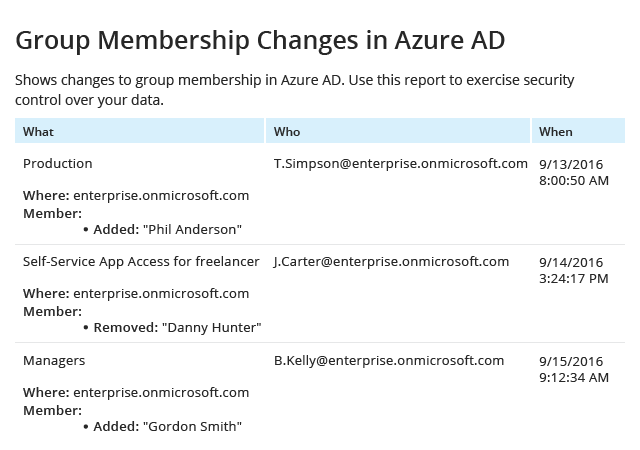 Netwrix Auditor for Azure AD delivers detailed reports on all activity across your Azure AD environment, including which Azure AD users changed their passwords in your cloud-hosted Active Directory without provisioning from on-premises Active Directory. Is ensuring ongoing Azure compliance and security critical for your organization? Do you always think about how you can strengthen the protection of your customer data and provide compliance information about your network security at audit checks? 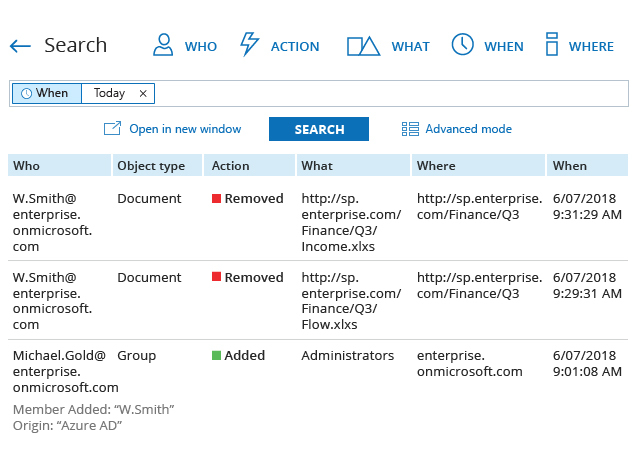 Complement your identity and access management solution or other security tools with the complete visibility offered by Netwrix Auditor for Azure AD. The solution delivers ready-to-use predefined reports, including compliance reports mapped to specific regulations — including CJIS, FERPA, FISMA/NIST, GDPR, GLBA, HIPAA, ISO/IEC 27001, PCI DSS and SOX — to help you simplify reporting processes, answer auditors’ questions faster, store your audit trail for years and prove with ease that your data in the cloud is secure. Healthcare organizations in the U.S. are required to comply with the HIPAA and HITECH Act, which focus on the security and portability of electronic protected health information (ePHI), which includes accountability of the users and systems handling it. If your healthcare organization uses cloud services, such as Microsoft Azure, to work with healthcare data, then you need to ensure the security of Azure AD and be able to provide evidence to prove it. You can sign a HIPAA Business Associates Agreement with Microsoft; however, you can’t rely just on your cloud provider to secure your IT ecosystem. You still need to stay abreast of what’s happening in your Azure AD and apply all the security controls required by HIPAA and HITECH in your Azure AD ecosystem. The Payment Card Industry Data Security Standard (PCI DSS) requires organizations that handle cardholder data, such as SSNs and credit card numbers, to track and monitor all access to network resources and PCI data. Azure AD is the entry point to cloud directory services where sensitive data can be stored. To maintain Azure PCI compliance, you need to know who signs in and what changes are made across your Azure AD, so you can help ensure solid data integrity and security, 24/7 business continuity, and successful attestation of compliance (AOC). This visibility helps you kill two birds with one stone: You can spot threats faster and satisfy qualified security assessors (QSAs).